2015 is going to be a big year for me. It is going to be a year of learning, changes, and love. I am going to be completing my final semester of college, getting things ready for a new life with Mark, and marrying the love of my life! I am so excited (and a tad bit nervous) for all of the big things this year. I also am really looking forward to the personal changes I'll be making this year. One is to specifically treat myself better than I have been, to speak love and joy over myself rather than criticism and worry. Those things really start to take a toll after a while! I need a season of renewal. Renewal to my health. Renewal to my emotions. Renewal to my soul. This renewal I speak of will only come from God and the deliberate actions I take to ensure I am living differently and more positively. I want streams of joy and rejuvenation to overflow and fill me up. I want to rest and feel alive again, instead of carrying out the day-by-day stagnant routine that we so often see ourselves getting stuck in. 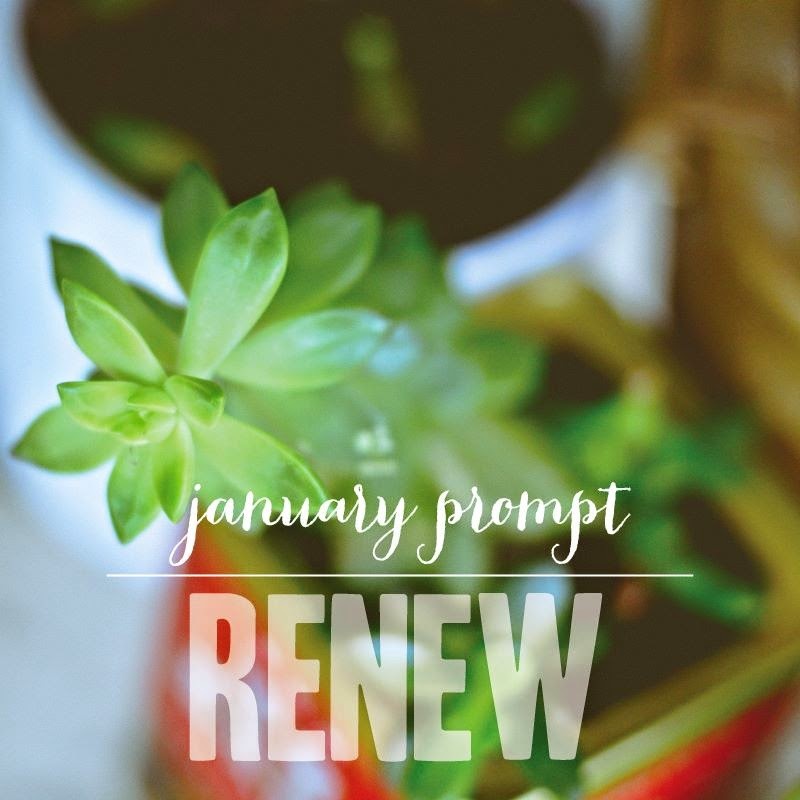 The Bible has some things to say about renewing your mind and your heart and I want to use these verses to start of my process of renewal this year. "He restoreth my soul: he leadeth me in the paths of righteousness for his name's sake." God is the only one that can completely restore my soul and keep me moving in the right direction. He surrounds me and protects me as he restores my inmost being, showing me his righteousness and glory. We are called to serve God and that means we don't act like the world as we live, meaning we avoid sinful behavior and negative lifestyles. We focus on the goodness and hope of Christ and try to emulate that ourselves, showing others that there is hope and the Christ has a perfect will for each and every one of His children. We can hear him more clearly and seek out his will when we are living rightly and transforming our minds from sin and selfishness to love and righteousness. "Therefore we do not lose heart. Even though our outward man is perishing, yet the inward man is being renewed day by day." When life gets tough, we often get tired and start to worry about ourselves and the future. God is holding each of us and caring for us, so we need not worry! Every day our spirits are being renewed as we stay close to him and the Word. We may be aging and getting physically tired, but our spirits are being rejuvenated through the joy and power of Christ! In addition to renewal of the soul, I want to renew my health. I plan to eat healthier, get more sleep, and take better care of myself. Our bodies are temples of the Holy Spirit and God created each of us uniquely and individually so we have a duty to take care of such a magnificent creation! This month, this year even, I plan to live a healthier lifestyle and to take good care of what God has entrusted me with. With renewal to my health and my soul, I believe renewal to my emotions will come naturally. As I fill my heart with the Word of God and take good care of my physical body, I know I'll be feeling more awake and alive and that will bring me such happiness. I will feel stronger and closer to God and when I do have a rough day, I'll know to turn to him instead of lashing out in anger or dive into sadness. I know that Christ is my rock and will sustain me in times of need, in the good and the bad, he will never leave or forsake his children. What a comfort in hearing that truth! We are not alone and we can live fully and renewed every day because we have a Father that provides and heals and loves us daily. How are you being renewed this month?